November 6, 2018, SEATTLE, WASHINGTON – CleanApps.org, the first of-its-kind non-profit group focused on curing some of the most intractable consumer-protection ills on the internet while enhancing the prospects of responsible businesses and organizations, publicly announced its formation today. At a time when fraud, data breaches, and a rash of privacy violations are dominating discussions about the evolution of the internet and its place in democracy and civil society, CleanApps.org has adopted a unique, collective approach to the consumer protection problem. It hopes to redefine what a non-profit organization can do to enhance internet safety and rally app makers behind standards that protect billions of consumers in new ways. “We formed CleanApps.org because it’s clear that the current go-it-alone approach to privacy, security, and other elements of consumer protection – where it’s every company or organization for itself, in its own silo – just isn’t working,” said Bogdan Odulinski, CleanApps.org’s president and a member of its board of directors. “A safer internet starts with organizations who are committed to it, joining together to treat consumers right and put pressure on those who don’t. 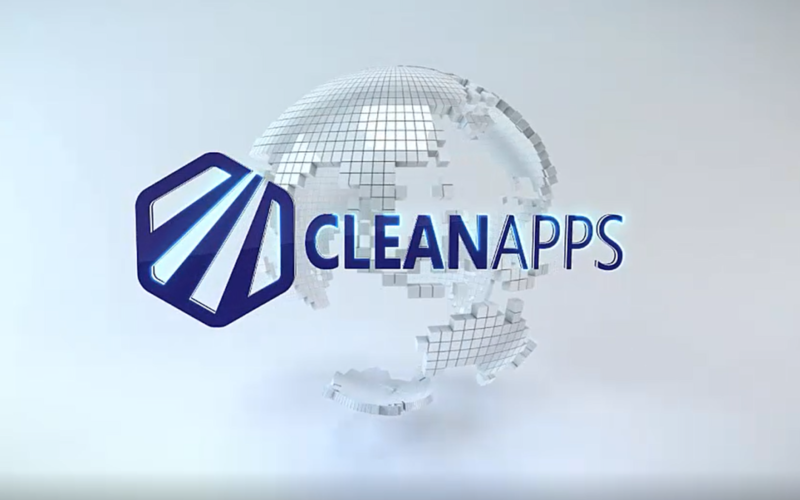 CleanApps.org brings together the best software and app developers, as well as other conscientious participants and supporters of the internet economy. It provides access to experts and regulators in the privacy, security, advertising, government, and consumer advocacy arenas. It shares deep technical knowledge and insights. It creates a collaborative environment where members can help each other as they wade through a thicket of challenging compliance issues. And it helps members understand, promote, and deploy the most consumer-friendly practices. CleanApps.org also announced today that it will soon launch a community forum. This will enable members to share issues of concern at any time and collaborate on how best to tackle them. Members can ask questions of one another – from the most basic to the most technical – and sharpen their capacity to deliver successful apps and software that respect user privacy and security. The forum will also provide an opportunity for members to build valuable partnerships, enabling organizations with consumer-friendly values to gain more traction in the internet marketplace. The aim is to create an environment that benefits both consumers and responsible internet businesses and organizations. Added Odulinski: “By bringing together businesses and organizations who have substantial influence on the internet (and so much at stake), CleanApps.org will be able to effect positive change immediately. We can accelerate the adoption of best practices that honor consumer trust, create a fair marketplace, and in the process isolate those businesses that don’t treat consumers right. CleanApps.org’s formula capitalizes on a unique characteristic of internet enforcement and regulation: cybersecurity and major software companies already have the legal authority to protect consumers from potentially harmful software by blocking it from operating on consumer devices. But as demonstrated by highly publicized efforts to root out fake news, foreign influence on elections, and other forms of consumer harm, technology companies remain challenged to keep up. They often struggle to identify privacy and security defects, as well as outright fraud, especially when it comes to widely adopted consumer apps. The consequences: hundreds of millions of consumers are at risk. CleanApps.org already counts more than 30 companies as members, primarily app developers who create popular apps for PCs, tablets, and mobile devices. The organization also welcomes new members from not-for-profit groups, academic institutions, government organizations, app makers, and businesses of all types. Members gain access to consumer-friendly advice, as well as regulation-related perspectives – critical benefits for any organization that has an internet presence. Because many organizations lack deep knowledge in compliance, members use this guidance to build safe websites and apps that satisfy the constantly evolving standards, which will likely become only stricter over time. CleanApps.org also engages in advocacy before regulators, major software companies, and app certifiers where the standards seem unclear or inconsistent. CleanApps.org has conducted several webinars, with guest participants like Microsoft, AppEsteem, the Federal Trade Commission, security companies, and consumer groups. Guests have used the forums to articulate changing consumer protection standards CleanApps.org members need to meet. Members have used the sessions to share data and insights about what they are doing to meet elevated requirements and perform profitably with consumers. CleanApps.org aims to create common ground among both the membership and regulators by adding a data-driven approach to consumer protection. Among those who will also benefit from such webinars: the billions of consumers who might otherwise be subjected to harmful software. To learn more about the mission of CleanApps.org or become a member, visit https://cleanapps.org.